Obituary Notice for Shirley Ann (Freeman) Thomas | Pepper Funeral Homes & Cremation Facility, Inc.
Shirley (Swain) Thomas, 81, of Canton, PA, peacefully passed away on Friday afternoon, August 10, 2018 at the Bradford County Manor. Shirley Ann was born in Canton on July 14, 1937, a daughter of the late Paul Job and Jennie V. (Champney) Freeman. She was a 1955 graduate of Canton High School. In addition to her dedicated care of family and home, Shirley enjoyed her work at Canton’s Canford Manufacturing since the company’s beginning until she retired in 1996. On Aug. 18, 1984 Shirley married Dale W. Thomas in Mansfield. They were blessed with 30 years together before his passing on Dec. 14, 2014. She was a member of the Canton Church of Christ (Disciples of Christ) and a former member of Canton’s Woman of the Moose Lodge 981. 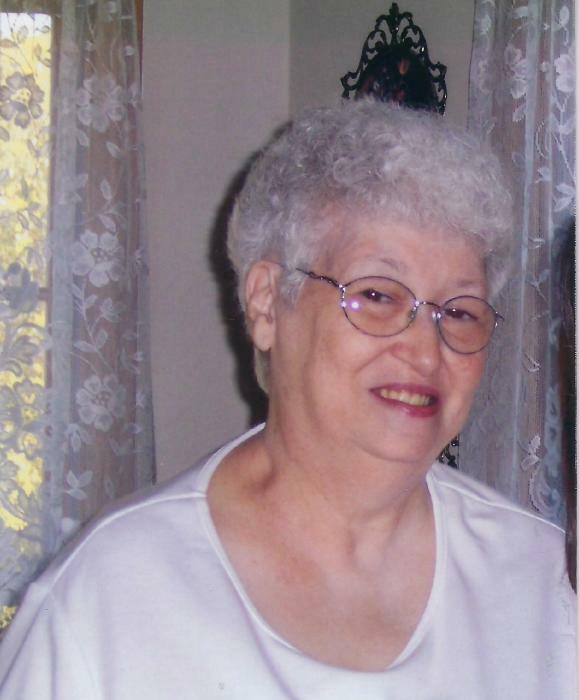 Shirley will be remembered as a loving, kind person with a great sense of humor. She also possessed a strong will and always “told it as she saw it”. Shirley especially enjoyed times spent on Armenia Mountain taking drives with Dale, baking cookies with her grandchildren, Lifetime TV movies and word puzzles. Surviving are her children; Mike Swain (Lacy) of Hughesville, Karen (Rick) Worthington and Susan Adams (Paul Yeager) all of Canton, Dale Thomas of Kill Devil Hills, NC and Pam Thomas of Dobson, seven grandchildren; Aaron Hulslander, Kaitlyn Worthington, Amber Bassett, Christopher Adams, Tyler Swain, Josh Swain and Nichole (Cody) Gessner, four great grandchildren; Kali Stewart, Camryn Roman, Collin Roman and Colton Roman, special nieces and nephew; Patricia Bailey, Carol McAdaragh and Russell Freeman, several nieces, nephews, cousins and her feline companion Missy. In addition to her husband Dale, she was predeceased by two children; Joseph and William Thomas, a granddaughter, Chortney Wilmoth and four siblings; Pauline Reese, Earl, Howard and infant Donald Freeman, also a nephew, Paul D. Freeman. In keeping with Shirley’s wishes, there are no public services. Rev. Nancy Beahm will officiate a graveside service in Oak Hill Cemetery, Troy. Pepper Funeral Home & Cremation Facility, 578 Springbrook Dr. in Canton is assisting the family with arrangements.